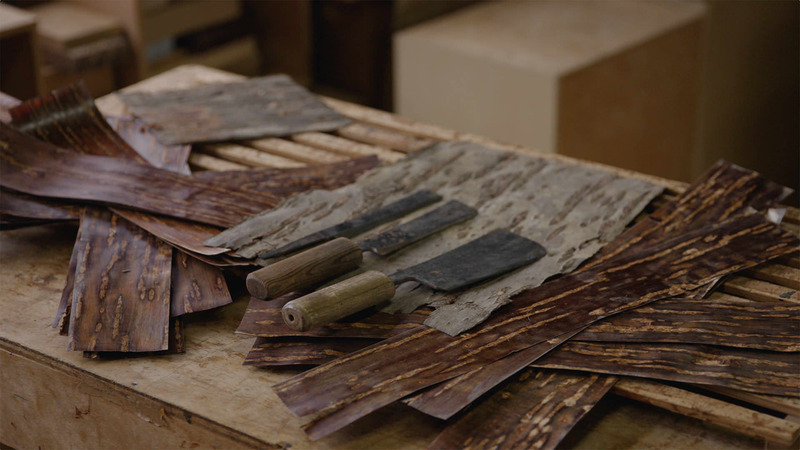 Kaba-zaiku is a precious traditional artifact made from the bark of mountain cherry blossoms and is known for its beautiful natural texture. 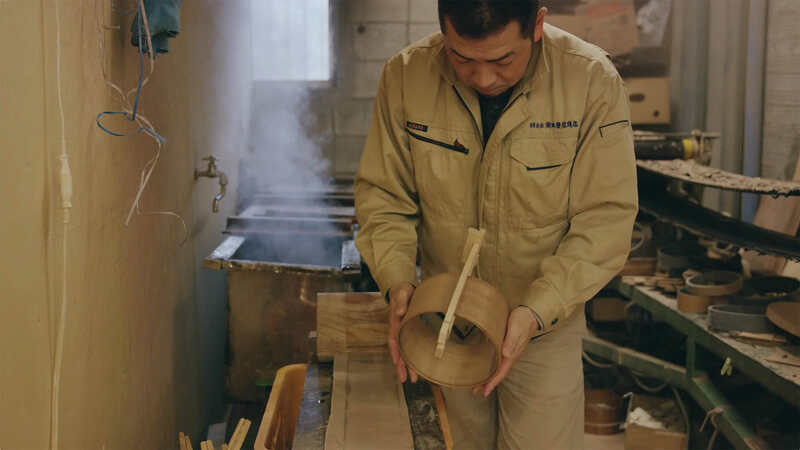 It is mainly used to make tea canisters to keep green tea leaves in and is a popular Akita souvenir. A traditional artifact made of natural Akita cedar, the Odate-nagewappa has a soft texture and a nice cedar scent. It’s a popular choice as a lunchbox because of the nice cedar scent, which enhances the taste of food, and its sterilization effect. An amazing scenic spot located on the northern tip of Oga Peninsula which juts out into the Japan Sea. 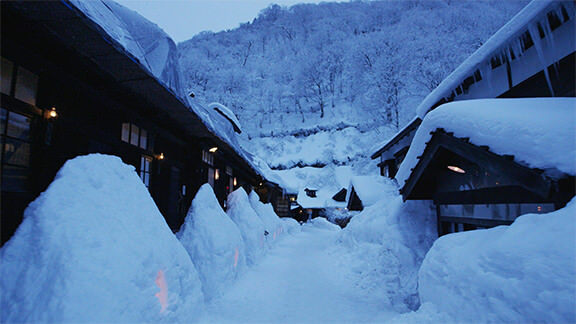 In winter, visitors can see the vast flat land covered in snow and the rough waves approaching from the Japan Sea. 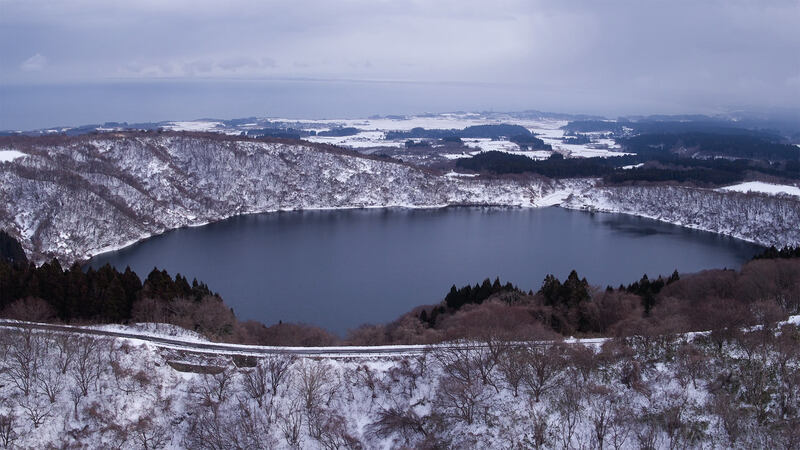 A scenic spot on the westside of Oga Peninsula, Hachibodai is an observation deck where you can see the two crater lakes, Ichinomegata and Ninomegata, which look like holes right next to the ocean. It’s also known as a great spot to view the sunset. 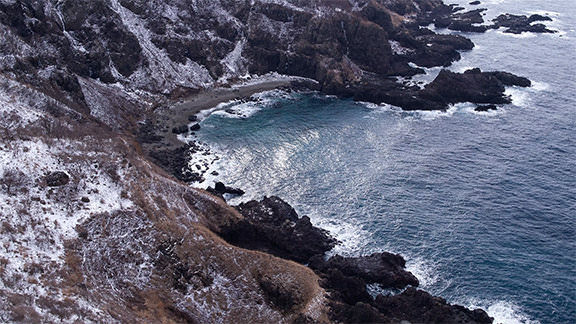 A beautiful road for a drive where the mountain is right by the ocean in the southwest area of Oga Peninsula. 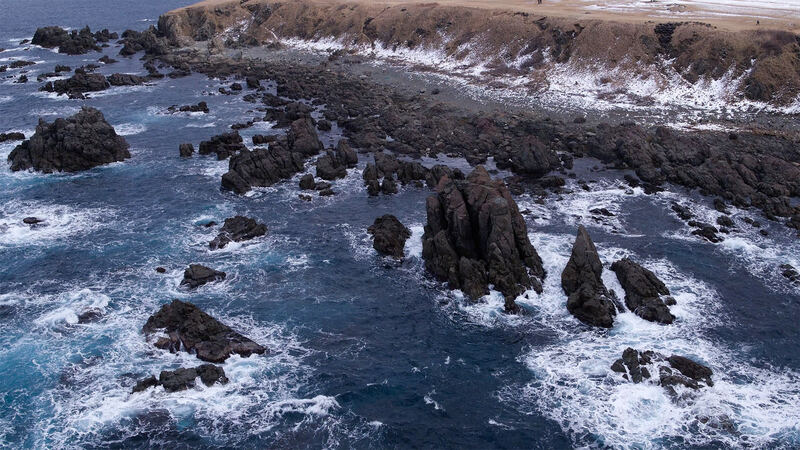 You can see fantastically shaped rocks and cliffs created by the rough waves of the Japan Sea. Nyuto is a popular hot spring village with seven headsprings, each with different water qualities. Some inns have a history dating back to the 17th century, and the snow-filled scenery is the perfect place to enjoy a relaxing soak, local sake and delicious charcoal barbecue.